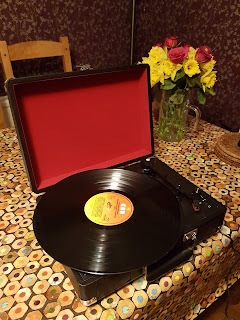 Thomas has been going on for years about wanting a record turntable he can hook up to his PC so he can digitise his remaining obscure records. To be honest, I couldn't really be bothered with it because I couldn't see why he'd want a digital copy of three kiddie records we no longer need and some weird Georgian stuff he hasn't listened to since the mid-90s. But, his birthday came round last week and stressed to breaking point with all this Brexit nonsense, I couldn't really come up with something imaginative this year, so I opted for this. I figured he could digitise the stuff he had over a week then sell it second hand for almost the original price. How wrong was I? Literally within five minutes of him putting it on, I was captivated. 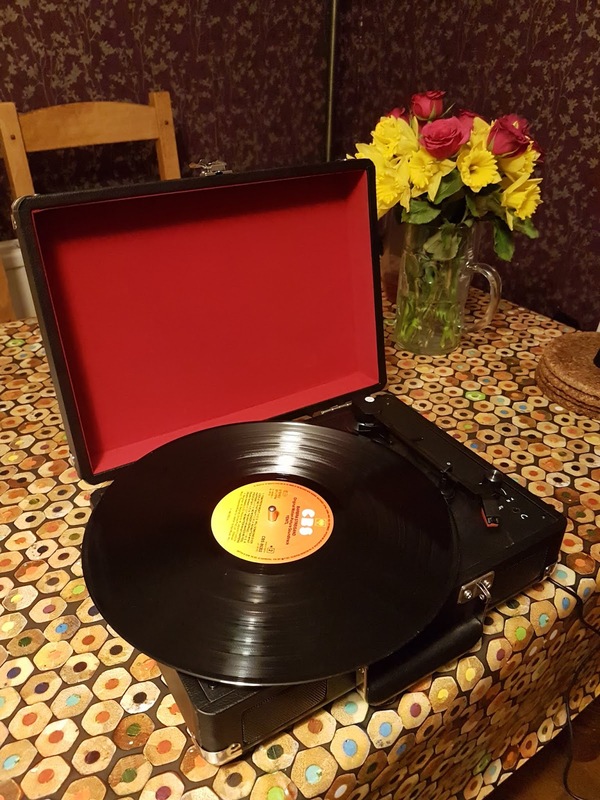 I never believed before that vinyl sounded better than cds or mp3s, but this felt like I was in the room with the orchestra, rather than just listening online to the flatter perfect sound of digital. Within a day, I'd been up to the loft and dragged down my old LPs and now instead of reselling it, I'm trawling through ebay for used vinyl. This really has been an eye-opener.